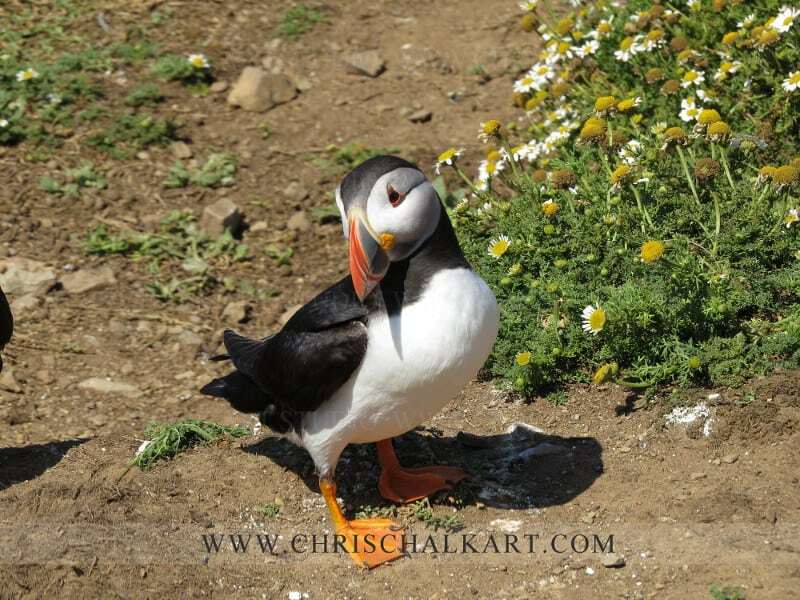 Skomer Island’s reputation as a sea bird paradise is world renowned, and although I’ve lived in West Wales most of my life I’d never managed to make the short boat trip over to see the puffin, until this summer, when I have been lucky enough to visit twice. 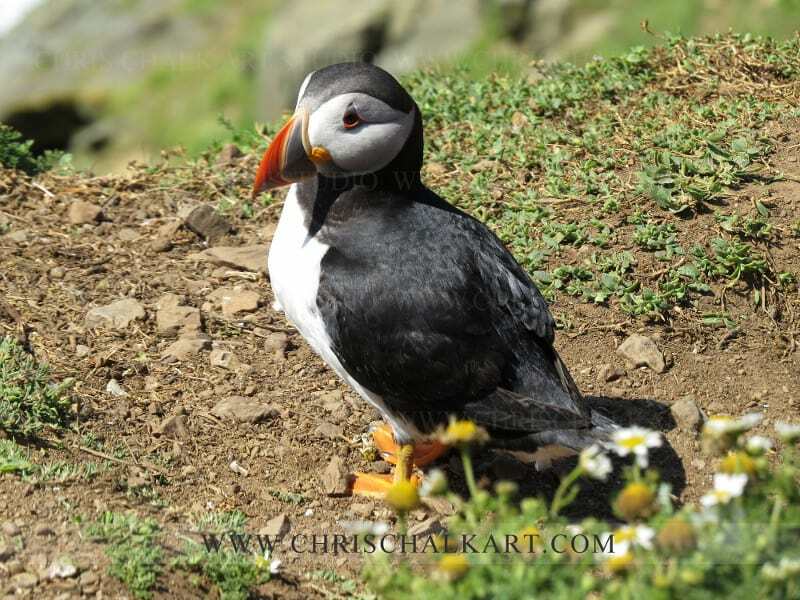 In June and July the puffins come to Skomer to breed, and this is the time to visit the island if you want to see them. Inspired by the trips below, you can see some of my puffin paintings here. Boarding the Skomer ferry, the Dale Princess. You buy your ticket and board the ferry at Martin’s Haven, in Pembrokeshire. 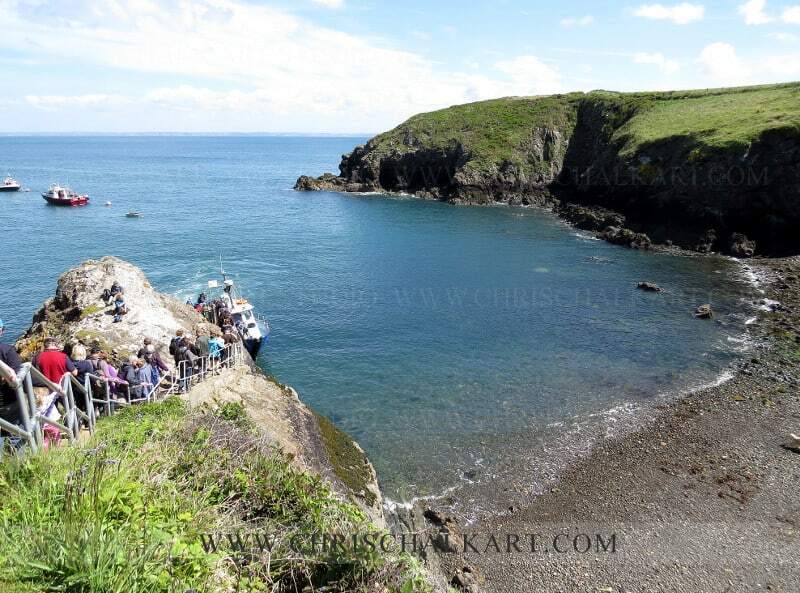 The boat ride takes about 15 minutes to get to Skomer Island. Keep an eye out for low flying puffins, razorbills and guillemot as you near Skomer. 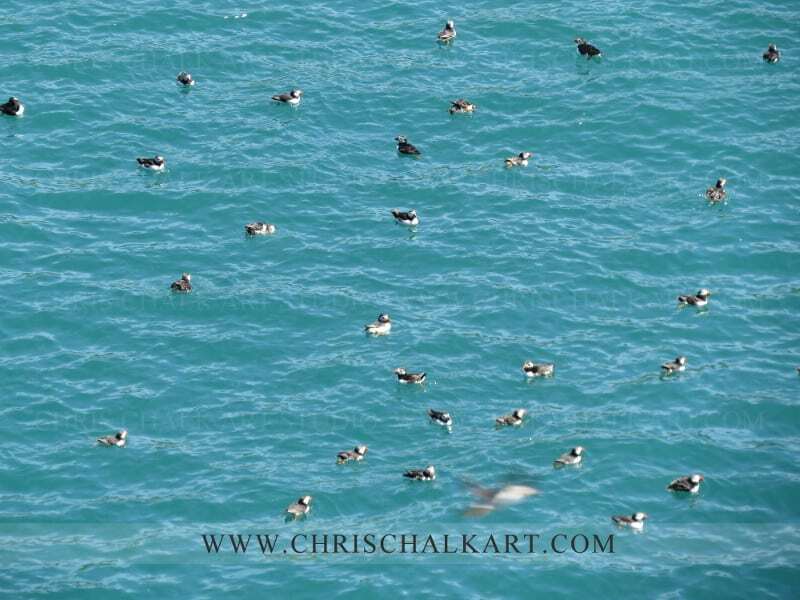 As you enter the bay you start to see puffins, razorbills and guillemot on the water and in the skies. 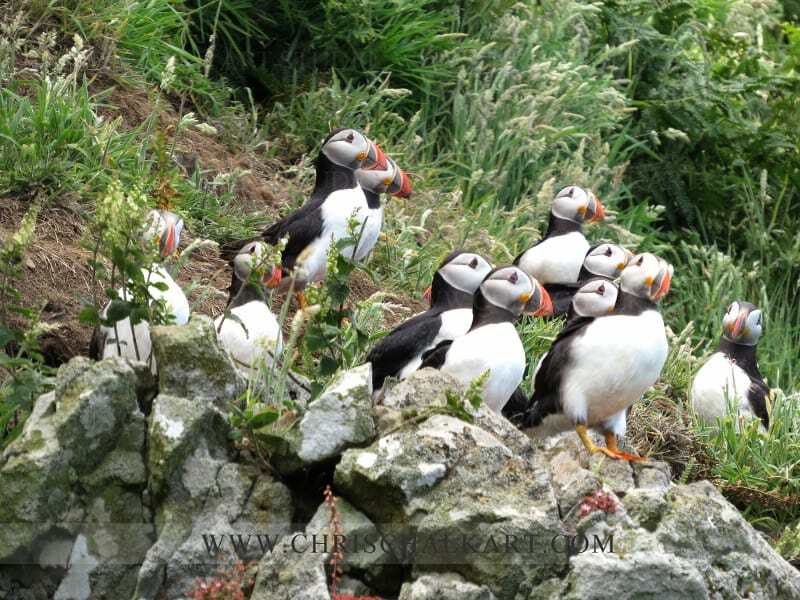 When you arrive on Skomer there are puffin everywhere you look, approximately 20,000, you’ll be amazed. You don’t need a camera with a uber-zoom lens, this little chap was about 10 feet away from me. No need to don your commando camouflage clothing either, the little guys are very bold and used to humans on their island. This little chap was so bold I think he wanted to come home with us. 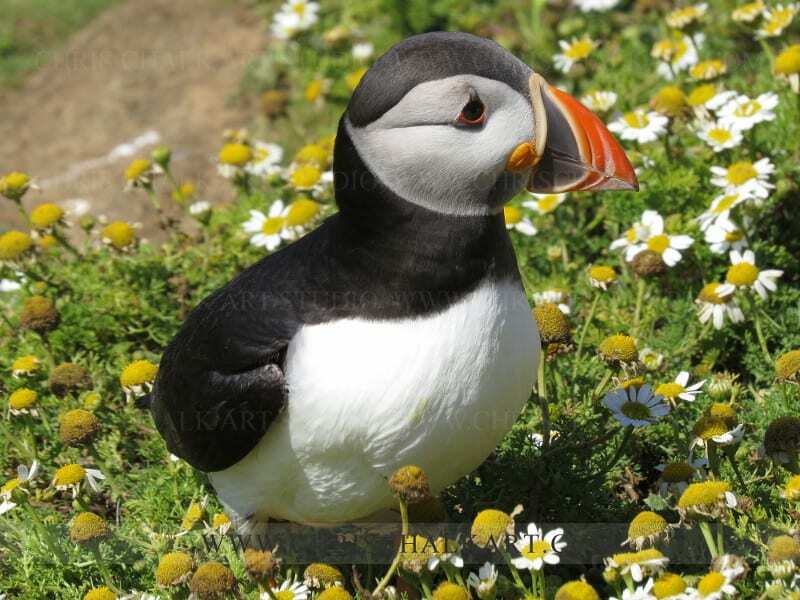 Wild flowers including bluebell, campion, sea pinks and daisies help make for some beautiful puffin photographs. 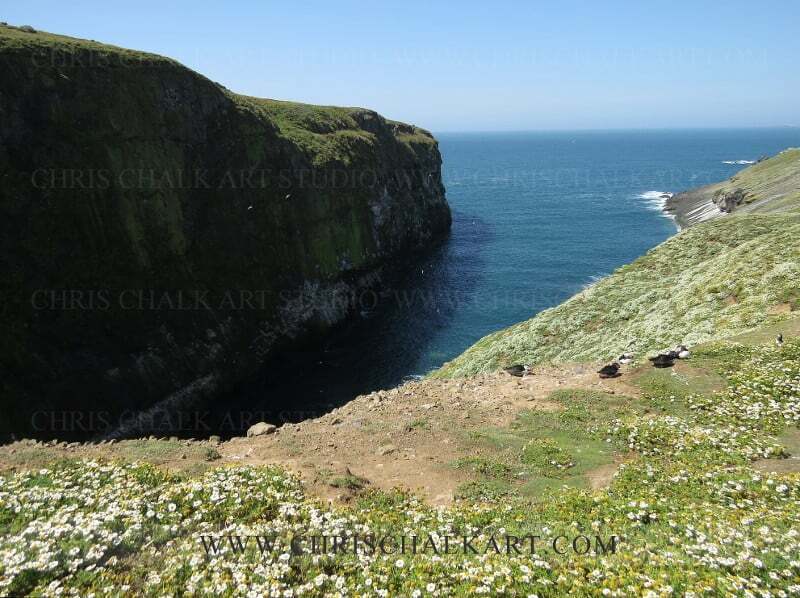 The Wick, probably the best place to see and get close to the puffins – about 20 minutes walk from the ferry landing. Heading to the old farm, where we had a picnic lunch. These flowers were beautiful, if you know what they are please let me know in the comments below. 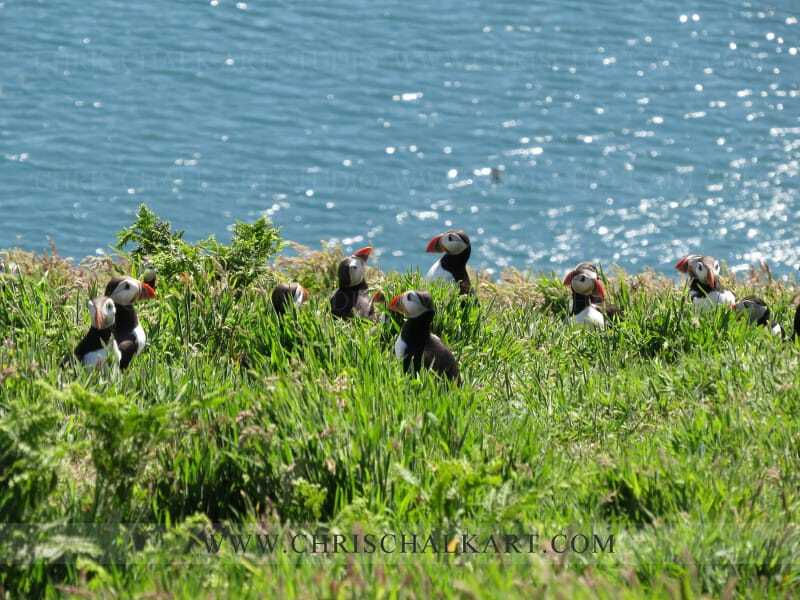 The puffin look wonderful in the long green grass against the blue sea on a sunny day. 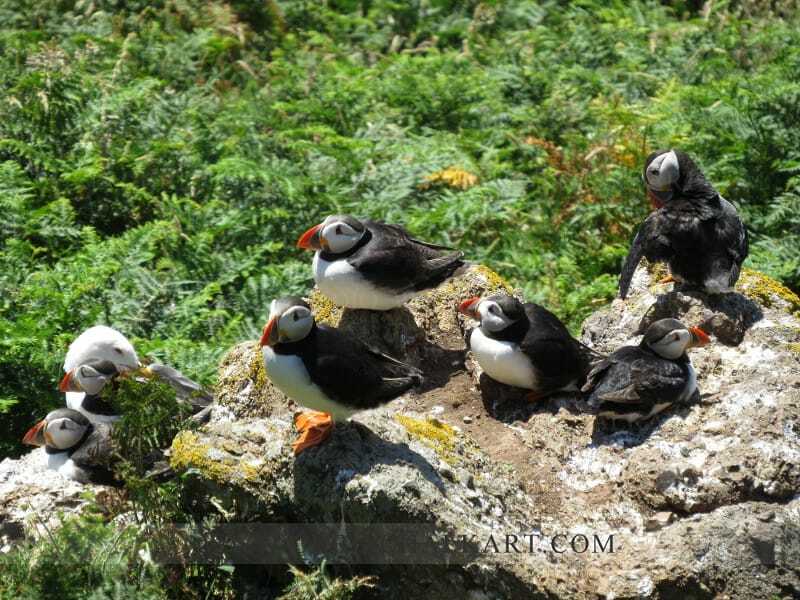 Puffin are very sociable creatures, they huddle together in groups and chatter away to one another constantly. 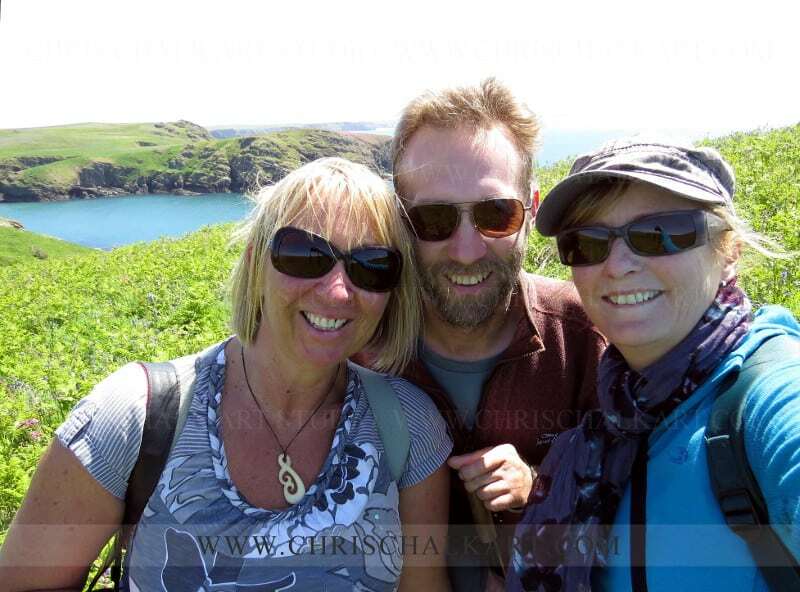 …as did we, Karen, Donna and myself – intrepid puffin spotters. 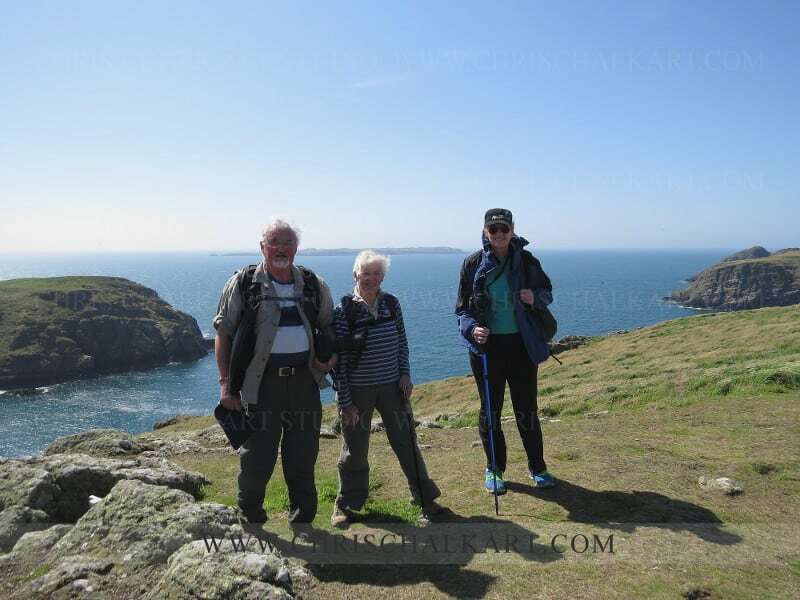 Bob, Pearl and Ally – intrepid puffin spotters, take two. All these photographs were taken with a Canon PowerShot SX50 HS. Access – Getting on and off the ferry is relatively straightforward, but there are steps and some of those steps are imposing. 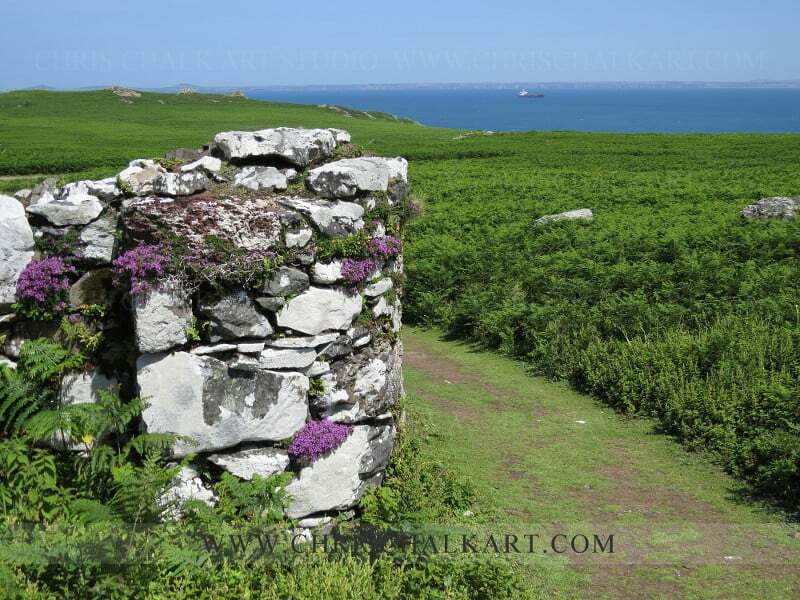 However, there is no hurry and the crew of the Dale Princess are strong and extremely helpful. I myself have hip and knee issues, and with a little help boarding and disembarking the ferry had no problems throughout the day. Find out more about the Dale Princess here. 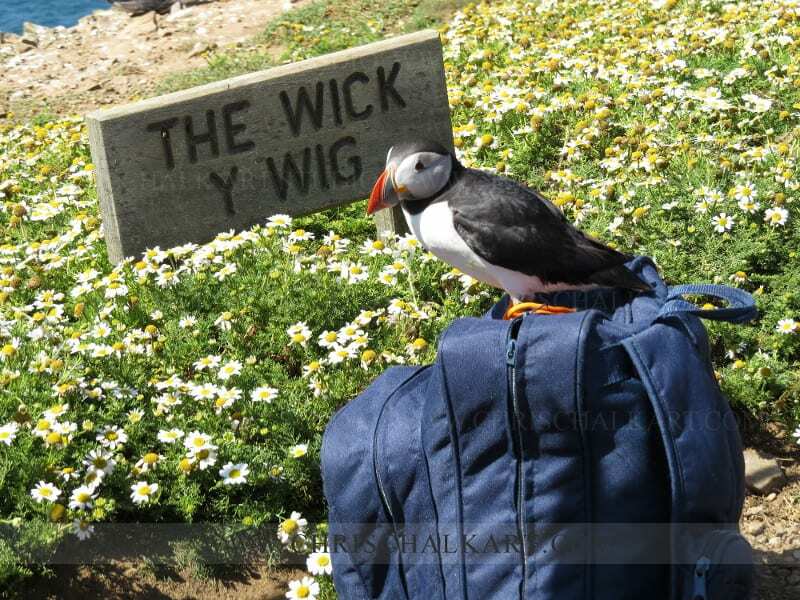 Find out more about booking your Skomer trip here. 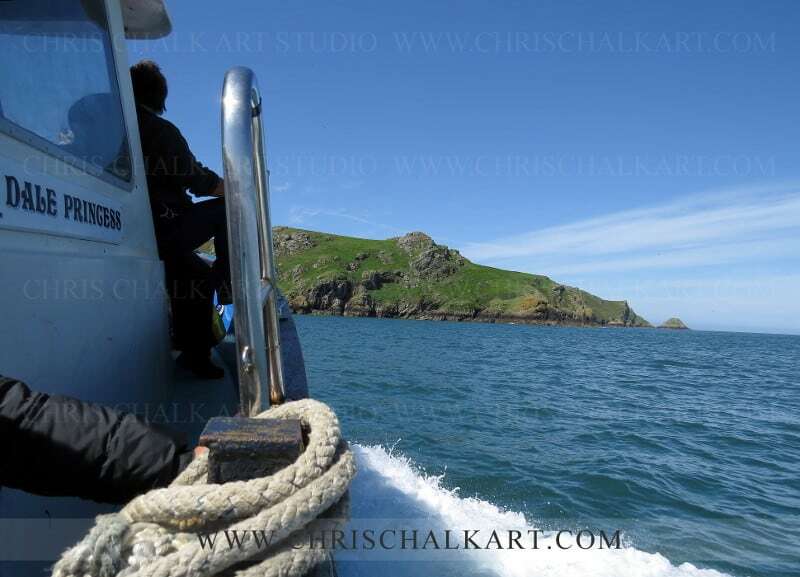 If you’d have any questions about our trips to Skomer, get in touch.